Le Creuset's Limited Edition Fleur Signature Collection represents the latest evolution of the brand with stunning embossed flower design to reflect natures kitchen. The matte enamel is perfect to enhance the texture and keep a pure and elegant finish. Blending classic form with technical innovation. 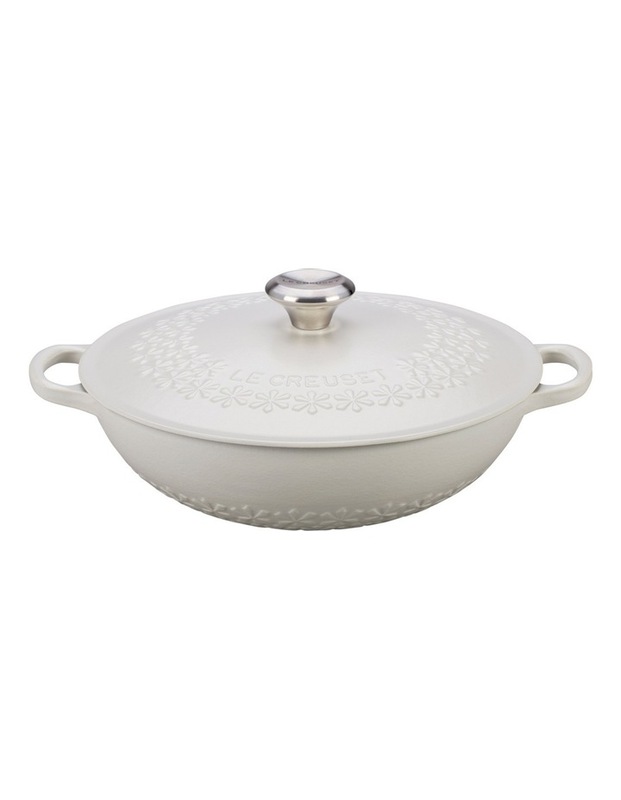 This casserole is designed to enhance slow-cooking by heating evenly and sealing in moisture.Wide cooking surface provides ample room for browning foods on the stovetop before slow simmering or braising.Enamel interior resists staining, dulling and wear and tear.Stabilizers in the lid prevent rocking, keeping the lid snugly in place. Made in France.